A grievous event of great consequence occurred in Isfahán during the last few months of Bahá'u'lláh's residence in the Mansion of Mazra'ih. This was the martyrdom of two distinguished followers of Bahá'u'lláh, the 'twin shining lights' Mírzá Muhammad-Hasan and his elder brother Mírzá Muhammad-Husayn, surnamed respectively by Bahá'u'lláh 'Sultánu'sh-Shuhadá' (King of the Martyrs) and 'Mahbúbu'sh-Shuhadá' (Beloved of the Martyrs). Reminiscent of the martyrdom of Badí,* this tragic event caused the Pen of the Most High to lament their loss for several years. In no less than one hundred Tablets He recounts their story, discloses their exalted station and praises their virtues. In a Tablet1, to one of the Afnáns, Bahá'u'lláh, in the words of Mírzá Áqá Ján His amanuensis, makes a statement that can be described only as astounding. He states that the martyrdom of these brothers made a greater impression, exerted more influence and was more heart-breaking than the Martyrdom of their Lord, the Báb, whom they served and worshipped. The King of the Martyrs and Beloved of the Martyrs were born to a noble family in Isfahán. They were nine and ten years of age respectively when the Declaration of the Báb took place in 1844. * see vol. 3, ch. 9.
he recognized the truth of the Faith later. He was engaged in the service of Mír Siyyid Muhammad, the Imám-Jumi'h* of Isfahán, as manager of his financial affairs. When the Báb went to that city He stayed part of the time as a guest in the home of the Imám-Jumi'h. Because of his close association at that time with the Báb, Mírzá Ibráhím, though not a believer, entertained Him one day in his home. On that occasion the two young brothers and their uncles† attained the presence of the Báb. This meeting left an abiding impression on the two youths, who became ardent believers through the efforts of their uncles, especially Mírzá Muhammad-'Alí who later accompanied them to Baghdád where they attained the presence of Bahá'u'lláh. As a result of their meeting with Him, they became aware of His exalted Station and were filled with the spirit of faith and certitude. The splendours of the Face of their Lord brightly illumined their beings and they returned home radiant as shining lights. * A high religious dignitary of the city. † For the story of Mírzá Muhammad-'Alí, who begged the Báb that his childless wife might bear him a child, see vol. 2, pp. 203-4.
showered upon them is ample testimony to the loftiness of their station, the nobility of their character and the purity of their souls. After the death of Mír Siyyid Muhammad, the host to the Báb, the position of Imám-Jumi'h went to his brother, Mír Muhammad-Husayn. This man, the new Imám, left the management of his financial affairs in the hands of the two brothers who were the most trustworthy persons he could find. Time passed, during which the Imám-Jumi'h became rich and prosperous through the many financial transactions negotiated for him. He was quite satisfied with the handling of his financial affairs until he was informed that he owed the two brothers a considerable sum of money. It was at this point that the ferocious and beastly nature of the Imám-Jumi'h came to the surface and he turned his evil thoughts to one course of action only--to take the lives of the two who had served him with absolute faithfulness and honesty. How appropriate is Bahá'u'lláh's denunciation of this wicked Imám as 'Raqshá' (the She-Serpent), poised to strike mercilessly at the two embodiments of loving-kindness and compassion. * Doctor of Islámic Law. † He was a son of Násiri'd-Dín Sháh, extremely cruel and lacking in humanity. At one stage in his life he ruled over Isfahán and many other provinces in the south. King), the Governor of Isfahán, and asked him to implement their sinister designs. They demanded the execution of the brothers and promised him a giant share of their estate after its confiscation. This remark provoked such anger in the Prince that several times he reached for his sword but hesitated to pull it out fully. Instead he grabbed his walking stick, struck Mírzá Hasan violently several times in the face and sent the brothers to prison. In the meantime, Násiri'd-Dín Sháh was informed of this. He sent a telegram ordering the Prince to despatch the two brothers to Tihrán. This resulted in a bitter struggle by the two clergymen, who disliked this new development and wanted the execution to take place in Isfahán. The Prince was now torn between the two--the king and the clergy. In the end the clergy won. They roused the fanatic populace against the new Faith; a great commotion seized the city, and crowds shouting anti-Bahá'í slogans poured into the streets. Headed by the clergy they surrounded the government house and with wild and ferocious cries demanded the execution. The death warrant had already been written and signed by a number of leading divines of the city. The Prince succumbed under the pressure, but fearing the wrath of the king for disobeying his orders, he is reported to have withdrawn the services of his official executioner. It was at this juncture that Shaykh Muhammad-Taqí, * the son of Shaykh Báqir (the Wolf), rolled up his sleeves and volunteered to be the executioner himself, several others followed suit. But eventually the Prince issued orders for the execution to take place. This he did after his final appeal to the captives asking them to recant their faith and be saved, an appeal met by their refusal to do so. It must be noted that many among the crowds demanding the death of the two brothers were deeply indebted to them for their charitable and philanthropic assistance in the past. Many of them owed their lives to them for all the help they had received in difficult times over the years. Yet, blinded by the deep prejudice provoked by the Imám and his partner, they were clamouring for the death of their benefactors. Even the executioner himself, a man by the name of Ramadán, had been the recipient of a great many favours over the years. He was loath to carry out the execution and was ashamed to look into the faces of his noble victims. And when he expressed his revulsion for the task allotted to him, the King and the Beloved of the Martyrs assured him of their forgiveness and told him to perform his duty. Indeed Mírzá Hasan, the King of the Martyrs, took a precious ring from his finger and gave it to Ramadán, the executioner, as a gift. * Years later the Epistle to the Son of the Wolf was addressed to him. beheaded first, followed immediately by Mírzá Husayn, the Beloved of the Martyrs. On the orders of the evil perpetrators of this infamous act, ropes were tied to their feet and their bodies dragged through the city for everyone to see and then left in the ruins of a dilapidated building. Afterwards their remains were buried secretly by the youngest brother. Thus ended the lives of the two most illustrious of Bahá'u'lláh's followers. The story of their martyrdom shook the Bahá'í community to its depths and brought great sorrow to the heart of Bahá'u'lláh. While the King and Beloved of the Martyrs were in prison, the Imám Jumi'h (the Raqshá) ordered his men to confiscate their whole estate. Not only did he seize all their financial assets, including their vast merchandise, but he plundered their homes and took away every item of furniture, most of which were of exquisite quality and some consisting of priceless articles rarely to be found in anyone's possession. They ransacked the house in such a way that even some of the trees in the garden were taken out. At the same time the bereaved family lived in an empty house which was surrounded by a hostile crowd. They were terrified, grief-stricken and without any succour or help. Bahá'u'lláh revealed many Tablets in honour of each of these two brothers. Since the days that the two came face to face with Him in Baghdád and became ignited by the fire of His love, the Pen of the Most High had addressed Tablets to them from time to time bestowing upon them His blessings, infusing into their souls the forces of His Revelation and indeed preparing them for that day of days when they would lay down their lives in His path. It is not practicable to refer to all these Tablets in this volume. We can only skim the surface and mention a few. denied the verses sent down by Him. This is an implied reference to the Bábís who remained heedless of His Revelation. He calls on him to arise for the triumph of His Faith, to hold the reins of the Faith in his hands and never to allow the Cause to fall into the hands of the unfaithful. This is what God had destined for him. It must be remembered that in the early days of His Declaration Bahá'u'lláh focused His main attention upon the followers of the Báb. This is because these people had been prepared by the Báb to recognize and embrace the Cause of 'Him Whom God shall make manifest'. The teachers of His Cause in those early days were primarily concerned with teaching the Bábís. Those among the Bábís who turned away from Bahá'u'lláh were addressed by Him as, among other things, the 'evil ones' who had 'repudiated the Cause of God', been 'unfaithful to Him', 'joined partners with God', or 'shown enmity and malice toward His loved ones'. Phrases such as these revealed soon after His Declaration often refer to those followers of the Báb who sided with Mírzá Yahyá* and rose up in opposition against Bahá'u'lláh. In the fore-mentioned Tablet which seems to have been revealed in Adrianople, Bahá'u'lláh alludes to the story of Joseph and refers to the actions of Mírzá Yahyá. He refers to Himself allegorically as the One who has been thrown into a deep well by reason of the envy of those who had been among His servants, who were created through one word from Him and who have now arisen against their Lord. Thus He alludes to the sufferings which He had endured from some of the Bábís who had not recognized the truth of His Cause. He confers authority on the Beloved of the Martyrs to employ the power of the word of God and, sword-like, separate the faithful believers from the company of the unfaithful who had repudiated Him. * A half-brother of Bahá'u'lláh, the Arch-breaker of the Covenant of the Báb. For his life see vols. 1 and 2.
believers not to associate with these people. 'Abdu'l-Bahá describes this action as similar to that of isolating an ill person who might otherwise spread a contagious disease* to others. In a moving prayer3 revealed for the King of the Martyrs, Bahá'u'lláh bestows such bounties upon his soul and upon that of his brother as no pen can adequately describe. He testifies that he has wholly detached himself from all earthly things, and that he has succeeded in attaching himself with the cord of servitude to the exalted dominion of his Lord. This description by Bahá'u'lláh of the relationship of a servant to his Lord, the ties of the truly poor with the riches of an Almighty God, amply demonstrates, as does the study of His other Tablets, that the greatest achievement for man in this life is to empty himself of every desire, recognize his own utter nothingness, follow the commandments of God revealed by His Manifestation and become filled with the power of the Almighty. Bahá'u'lláh testifies that the King of the Martyrs had indeed achieved this exalted station. His wealth and that of his brother did not become a barrier between them and God. * For a fuller discussion on this subject see vols. 1 and 2. His Tablets He had exhorted all to rectitude of conduct and praiseworthy character. They had all read these Tablets and become aware of the teachings of God, yet some followed their own passions and desire. He had directed them to be loving and united with each other, but instead they created disunity. He had urged them to act with wisdom, but they acted contrary to this. He had clearly asked the believers in many of His Tablets not to go to the Holy Land to attain His presence, yet groups of pilgrims arrived every day without His permission. In this Tablet Bahá'u'lláh expresses His displeasure at the waywardness and misbehaviour of some of His followers. He directs the King of the Martyrs to strive with all his strength to teach the weaker souls, to deepen their understanding of the teachings of God, and to exhort them to unity and love. That some of the believers in the time of Bahá'u'lláh did not live up to the high standards of behaviour demanded of them in the Holy Writings, is one of the most unfortunate situations in the history of the Bahá'í community. We have already stated in a previous volume* that in some of His Tablets Bahá'u'lláh has clearly indicated that if the believers had carried out His teachings faithfully, lived their lives in accordance with the divine standards and achieved absolute detachment from earthly things, they would have moved the peoples of the world and the majority of the human race would have embraced the Cause of God. * see vol. 3, p. 360. † A devoted follower of Bahá'u'lláh, a gifted poet and a Bahá'í teacher of wide repute. conditions for pilgrimage. These are: the person should be healthy, should be able to provide his means of travel including finance and, above all, should seek permission before setting off on the journey. In that same Tablet to 'Andalíb, Bahá'u'lláh states that a great part of His affliction is due to the assemblage in the Holy Land of a large group of believers numbering about three hundred including men, women and children. Some were steadfast in the Cause and staunch in their faith, but there were a number of vacillating souls among them. He states that, nevertheless, He had treated them all with the utmost love and had manifested to them His most excellent favours and blessings. God is very gracious indeed. 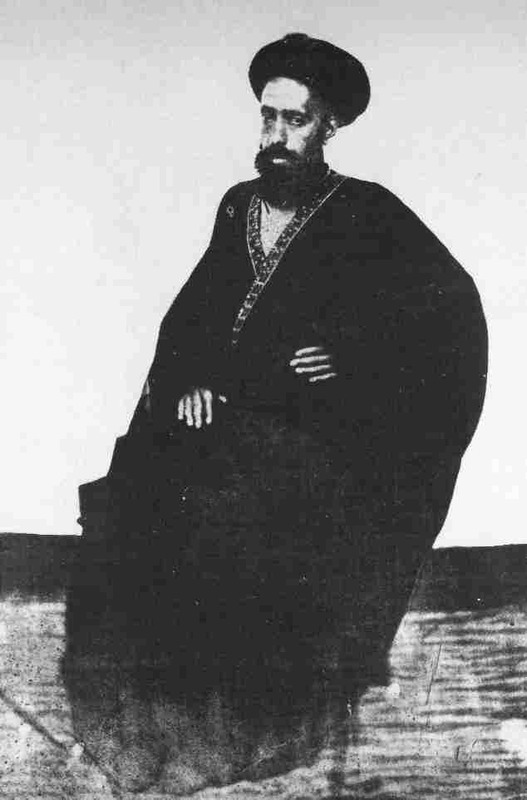 An interesting example of seeking permission to attain the presence of Bahá'u'lláh is that of 'Abdu'l-Majíd-i-Marághi'í. He was an outstanding believer in the district of Ádhirbáyján. His great enthusiasm to meet Bahá'u'lláh prompted him to leave his home for the abode of the Beloved. Without seeking permission he set off on the journey, travelling on foot until he reached Díyár-Bakr in Turkey where he became ill and had to remain during the months of winter. There he attracted many people. His fame spread through the town and soon the divines and men of learning came and sat at his feet to receive a portion of his knowledge and wisdom. To show their respect for him, they would, before entering his room, call out to him in Turkish and say, ''Abdu'l-Majíd! Do we have permission to come in?' He heard these words every day and the phrase became familiar to him. He forgives him for this and extends to him His loving invitation. But He asks him to be satisfied with staying for only a few days and then to depart, even as a life-giving breeze wafting over all regions to vivify the souls of the believers. This was shortly after Bahá'u'lláh had moved to the Mansion of Bahjí. Through this remark, not only did 'Abdu'l-Majíd reach the state of absolute certitude in his faith, witnessing that the Supreme Manifestation of God has the knowledge of all things, but he was also reminded indirectly and in a loving way of his negligence to seek permission. 'Abdu'l-Majíd was to stay for only a few days, but he begged 'Abdu'l-Bahá to intercede for him so that he might stay for a longer period. Graciously, Bahá'u'lláh gave His consent and he stayed for over three months. During this time he became magnetized by the power of God and intoxicated with the wine of His presence. He acquired such radiance and attraction that through the remainder of his life he became a successful teacher of the Faith to seekers and a tower of strength for the believers. When he was to leave 'Akká, Bahá'u'lláh directed him to go to the Caucasus, and here he stayed for some years and succeeded in guiding many souls to the Cause of God. Only if a believer committed an act which brought disgrace upon the Faith, or rose up actively in opposition to the Centre of the Cause, as Mírzá Yahyá did, was God's justice invoked; then Bahá'u'lláh condemned his actions and even expelled him from His community. In spite of this, however, He always prayed God that the individual might mend his ways, repent and return to his Lord. In the following Tablet too, revealed in the Holy Land, Bahá'u'lláh confirms that through His mercy and loving-kindness God conceals the sins of His creatures. especially during His days in the Holy Land, He advised the would-be pilgrims not to make the journey, as for most of the time circumstances in 'Akká did not warrant the arrival of great numbers for pilgrimage. In most cases He assured the believers concerned that God would instead bestow upon them the same reward as He bestowed on those who had attained His presence. He often stated that there were some who had been in His presence for long periods of time but who were not able to receive their portion of the bounties which were bestowed freely upon all in His company. Yet there were others who never came face to face with their Lord but who became the recipients of His glory and were rewarded by God as though they had in fact attained His presence. The practice of seeking permission from the Centre of the Cause to visit the Bahá'í Holy Places continued after the ascension of Bahá'u'lláh. The believers requested 'Abdu'l-Bahá or Shoghi Effendi to grant them permission to make their pilgrimage, and today the Universal House of Justice is the body which performs this function. There is a Tablet9 addressed to the King of the Martyrs which is significant in its allusions to martyrdom. Revealed some time before his martyrdom, Bahá'u'lláh states that the believers should act with wisdom and prudence to protect themselves. But if the occasion demands it they should be willing to lay down their lives in the path of God. He affirms that since death is inevitable for everyone, it is much more praiseworthy, if the situation requires it, to die as a martyr than by a natural cause. He further explains that a believer who has truly recognized Him will not even become saddened by the terror and persecution of the enemies, much less be frightened by them. In this Tablet, as in others revealed in honour of the King of the Martyrs or his noble brother the Beloved of the Martyrs, Bahá'u'lláh assures them both of His unfailing grace and bounties. In view of their later martyrdom this Tablet is significant in its contents and prophetic in its outcome. After the martyrdom of the two illustrious brothers, the Pen of the Most High continued for some years to make mention of them in most tender and moving language in almost one hundred Tablets. He extolled their noble virtues and disclosed their exalted station. The story of their early pilgrimage to the presence of Bahá'u'lláh is given in a Tablet to Varqá.10 In it, Bahá'u'lláh in the words of His amanuensis describes how they went to 'Iráq and attained His presence in Baghdád. They came face to face with their Lord and it was on that occasion that they hearkened to the Voice of God and were transformed into a new creation. He states that although they were not known among the people, the Tongue of Grandeur showered upon them so much praise and bounty that some believers became very surprised. Afterwards they returned to their native land on His instructions. He affirms that the Hand of Power exalted them among the people and conferred upon them honour and glory. From the clouds of the heaven of generosity He rained down upon them wealth, good fortune and fame. Well-known as Bahá'ís, they became beloved of all. He mentions that even the enemies of the Cause were so touched by their integrity that they showed respect to them. In a Tablet to Shaykh Kázim-i-Samandar11* Bahá'u'lláh states that the soul of the Prophet Muhammad in the highest paradise laments the martyrdom of the two brothers and denounces the people of Islám for the wicked crime they had perpetrated. In this Tablet Bahá'u'lláh affirms that until his martyrdom, He had not disclosed the station of the King of the Martyrs. This had been due to the weakness and immaturity of people around. But since his ascension to the realms on high, He had revealed in His Tablets a measure of the bounties that God had bestowed upon him. 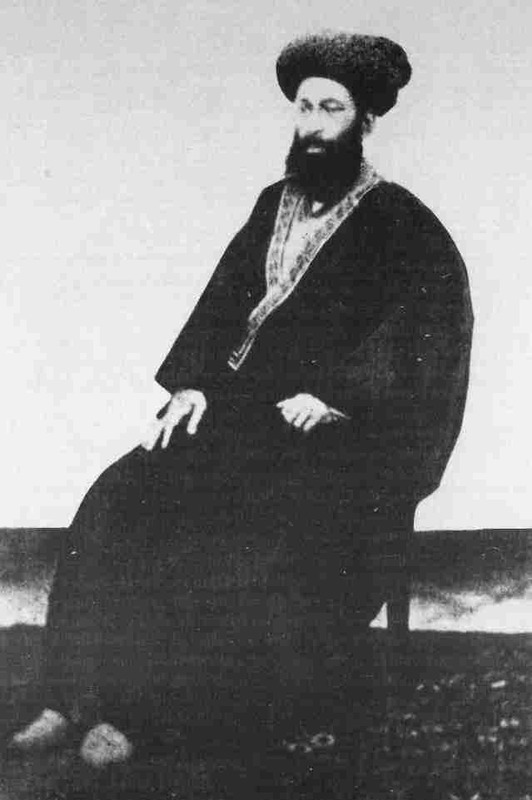 * One of the Apostles of Bahá'u'lláh, see vol. 3.
trust of God', 'the spirit which appeared in the form of a human temple to serve God', 'the tree of love', 'the breeze of God that wafted over the city', 'the luminous stars', 'the ocean of the love of God', 'a fruit upon the tree of fidelity' whose martyrdom had constituted the most great sacrifice in this Cause, and through whom the standards of victory 'were hoisted', and 'the horizon of steadfastness illumined'. Bahá'u'lláh has conferred great spiritual rewards upon the believers who entertain true love for them in their hearts and who visit their graves and chant the Tablets of Visitation revealed in their honour. In a Tablet to Varqá12 Bahá'u'lláh pays glowing tribute to the King and Beloved of the Martyrs for their exalted qualities. He affirms that God vouchsafed unto them special favours, and they appeared among people as embodiments of honour and glory. To their goodly virtues both friends and foes had testified. Earlier on they had expressed to Bahá'u'lláh their longing to lay down their lives in His path. In order to describe their exalted station, Bahá'u'lláh states that people would be dumbfounded if the station of even those who worked for them as servants were to be disclosed. In another Tablet13 Bahá'u'lláh testifies that many believers had not realized that these two holy souls were already accounted as martyrs while they lived. While they walked on this earth they had utterly sacrificed themselves for the Cause of God and they had achieved the station of martyrdom twice: once when they lived and again when they died. Bahá'u'lláh further states that many would be astonished if they knew how glorious was their first martyrdom. He testifies in one of His Tablets14 that the Messengers of God and His Chosen Ones are desirous of attaining to their exalted station.